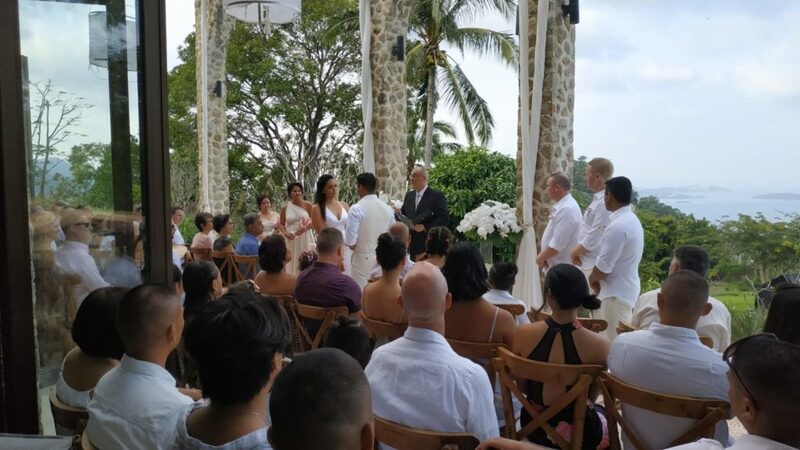 Bianca and Adams took their turn today to tie the knot at Villa Koh Koon. 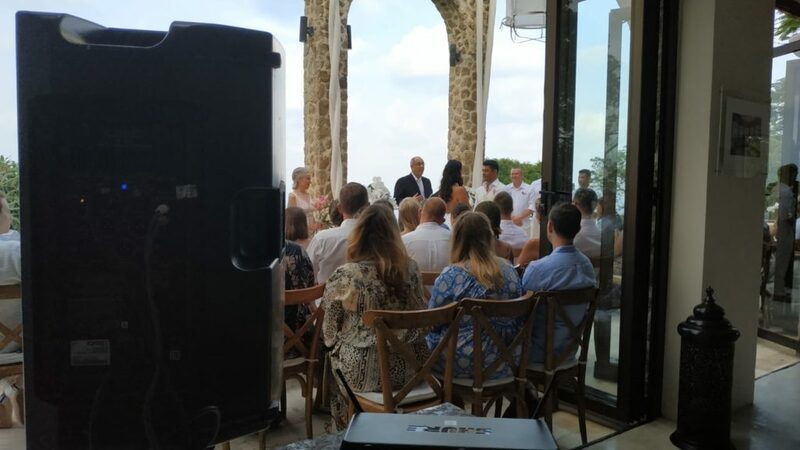 The stunning ceremony took place on the terrace, with Johnny as their celebrant. The bridesmaids looked beautiful in their dresses and Bianca looked amazing in hers. After the ceremony guests congregated on the deck whilst DJ Jessi played some relaxing music so they could sip cocktails and take in the view. Jacqui and her team from Samui Weddings and Events organised todays wedding and the guests were predominantly from Australia. We even recognised some familiar Samui residents as part of the group. As the sun set over the lawn, it was time to move on to dinner. 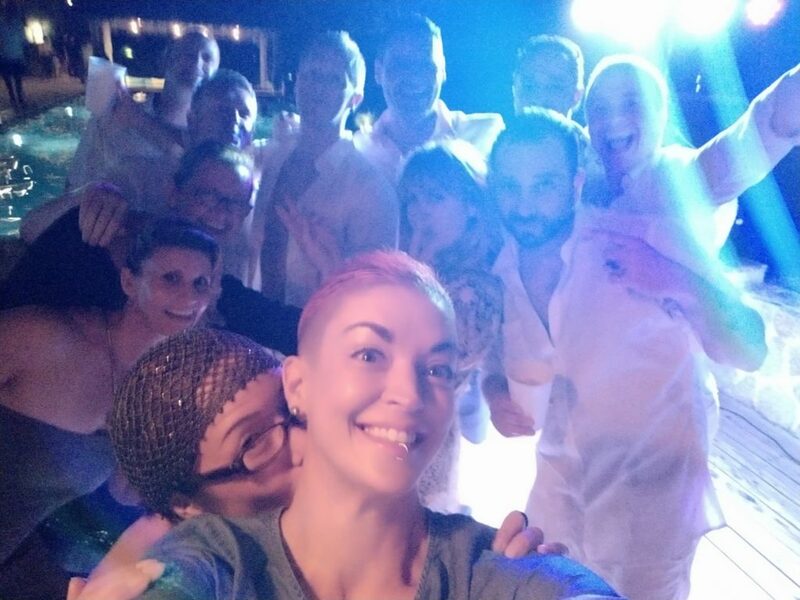 DJ Jessi had prepared a great playlist of soul, funk and motown music for the guests to enjoy whilst they ate. This entry was posted in Events / News and tagged Aussie Wedding, dancing, fun, party, Villa Koh Koon. Bookmark the permalink.